Read about our 2016 Sponsorship Opportunities. If you’d like to find out more, please email us. Our Annual Lunch Souvenir Programme is handed to everyone who attends. 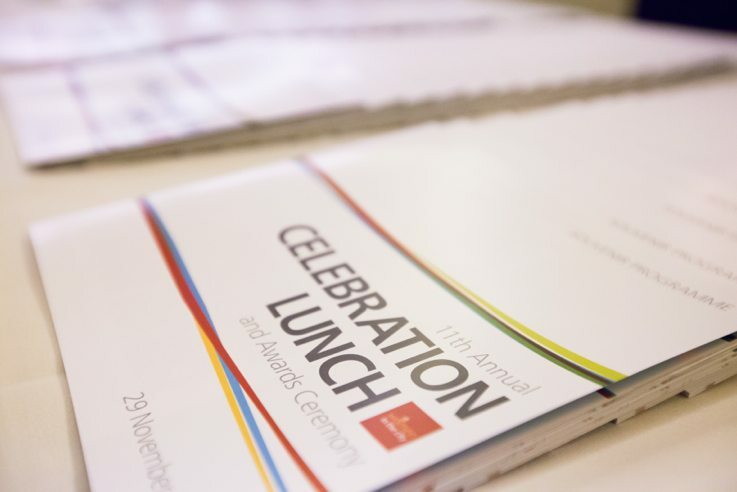 It is a high-quality publication which, as well as including essential information about all aspects of the Lunch, contains the “must keep” delegate list and profiles of our Award Winners. We offer both advertisement and advertorial space. The outside back cover is reserved for the headline sponsor of the Lunch and other prime positions (eg inside front and back covers) are reserved for our Partners who support our activities throughout the year. Take a whole page advertisement in the Souvenir Programmes for both the Future Leaders Celebration Breakfast & Symposium (July) and the Annual Celebration Lunch (November). Combined price. £700 +vat.